Think Your Wine Bottles Some Christmas Flair? Wine is a universally loved beverage and it surely is a holiday-worthy drink. So why not decorate your wine bottles for the upcoming Christmas holiday and give them some extra flair? These Christmas wine bottle decorations are all you need! These cute wine bottle Christmas crafts are perfect for decorating your wine bottles. 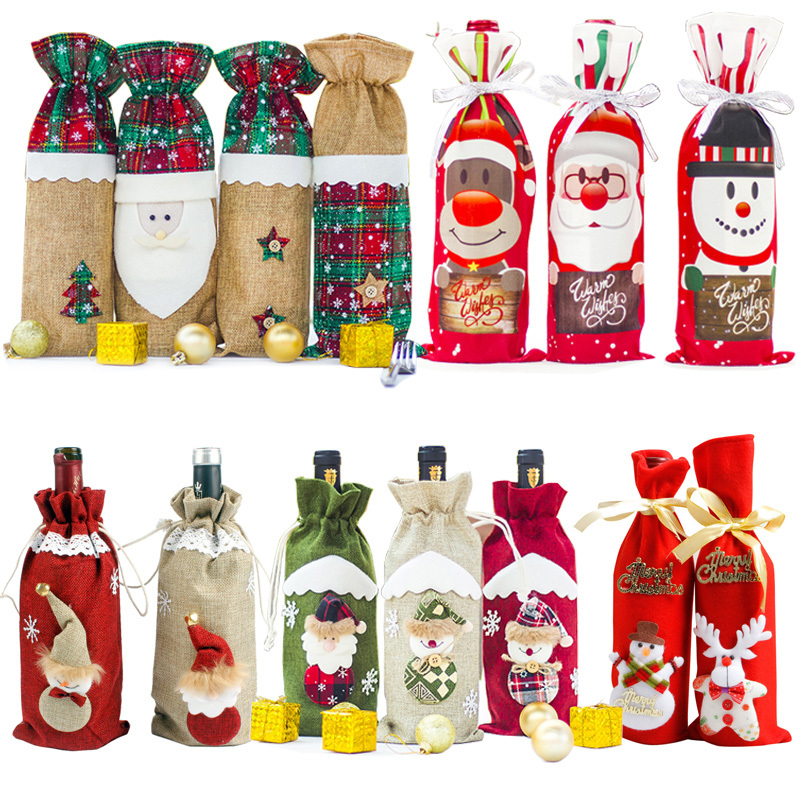 With top covers and bottle covers sewn in Christmas colors and patterns like Santa Claus, snow, and reindeers; they make your wine look epic. Christmas wine itself is looked forward to and these little wine gift bags can make them all the more interesting.